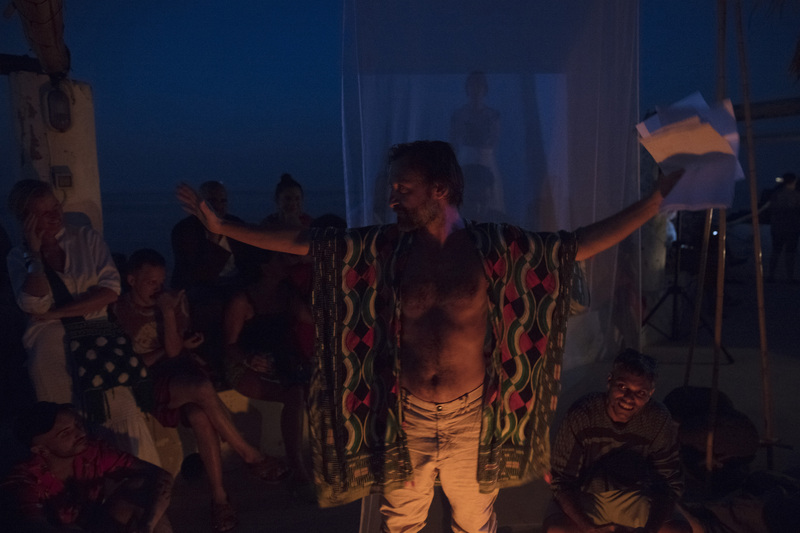 Under the sky of the longest total lunar eclipse of the century, La Lunatica opened its doors on the 27th of July to host the opening of Total Anastrophes. 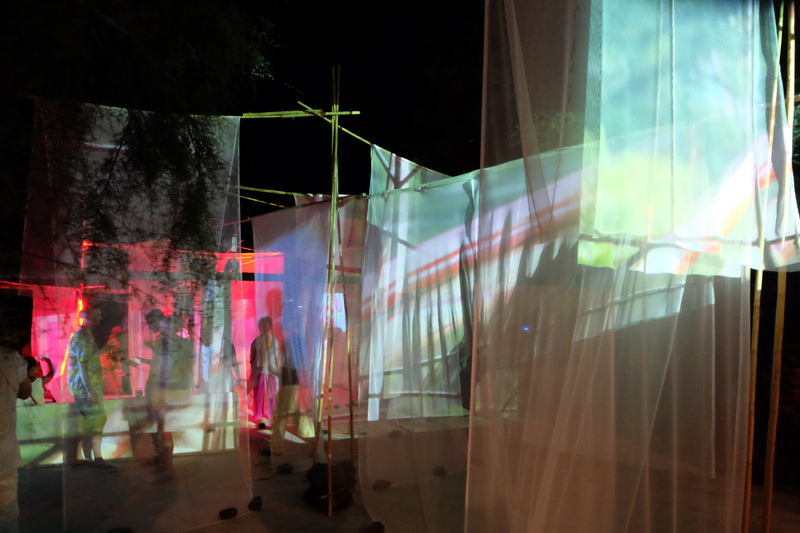 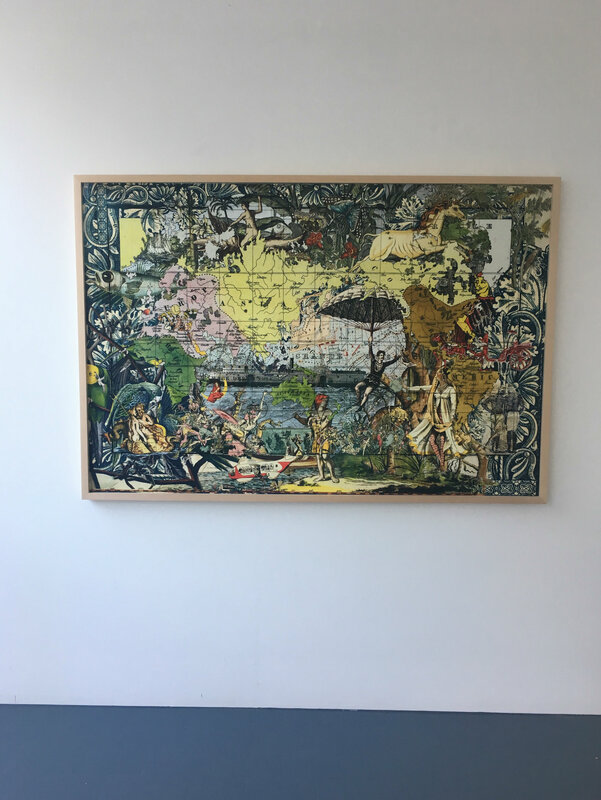 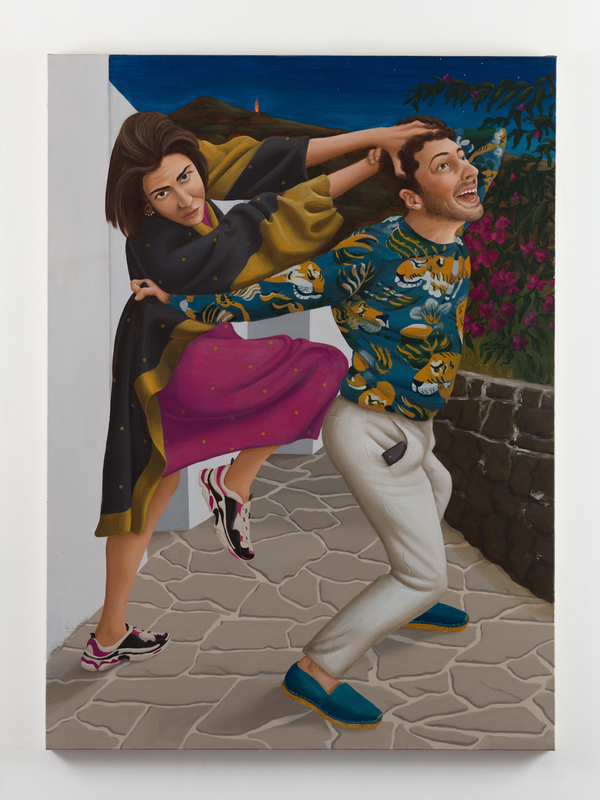 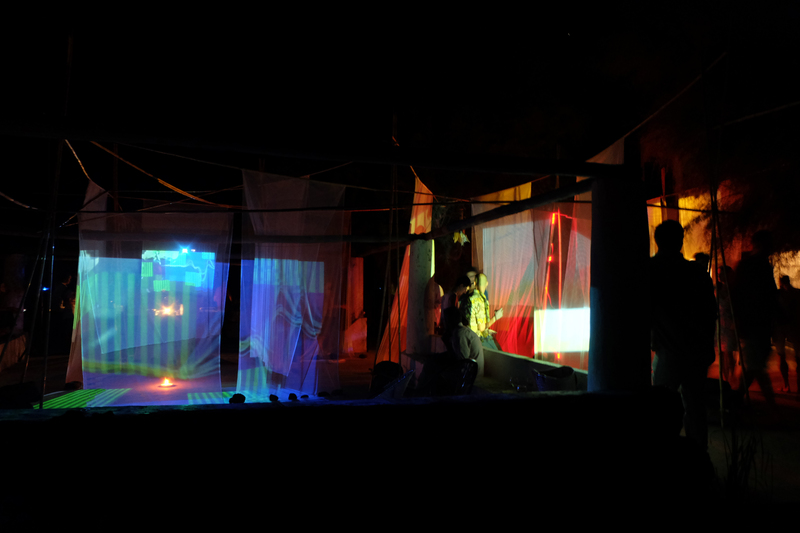 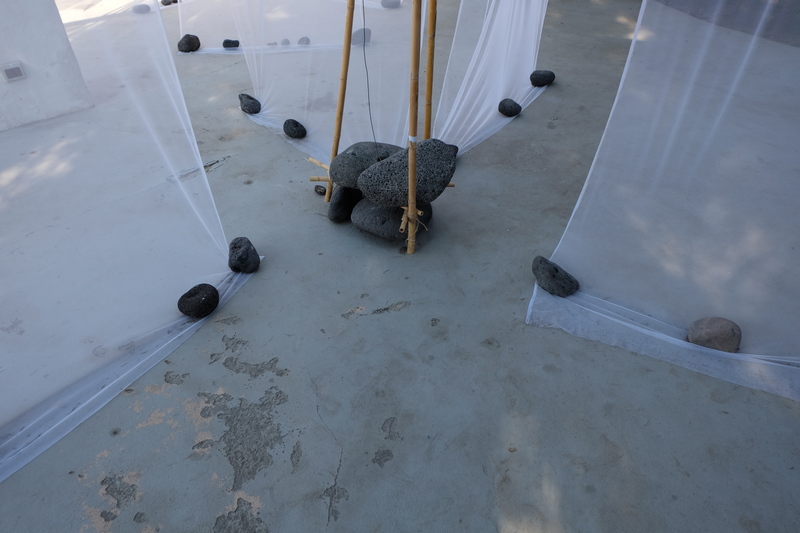 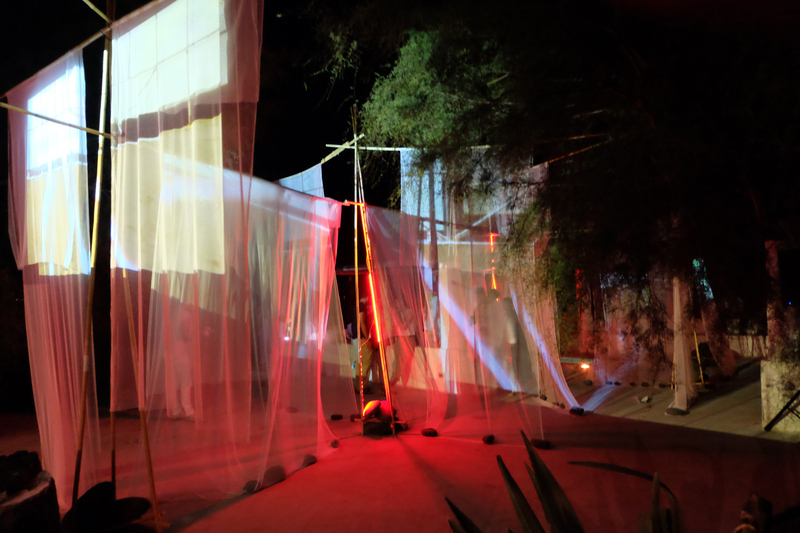 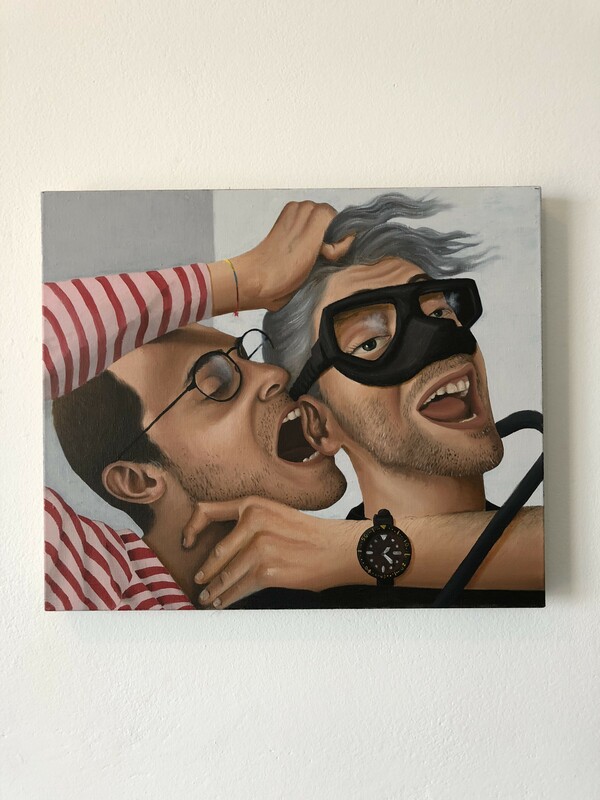 While sunset was upon us, an exhibition of works by Patrizio Di Massimo, Malala Andrialavidrazana and Tobias Putrih took-over the entire indoor and outdoor space. 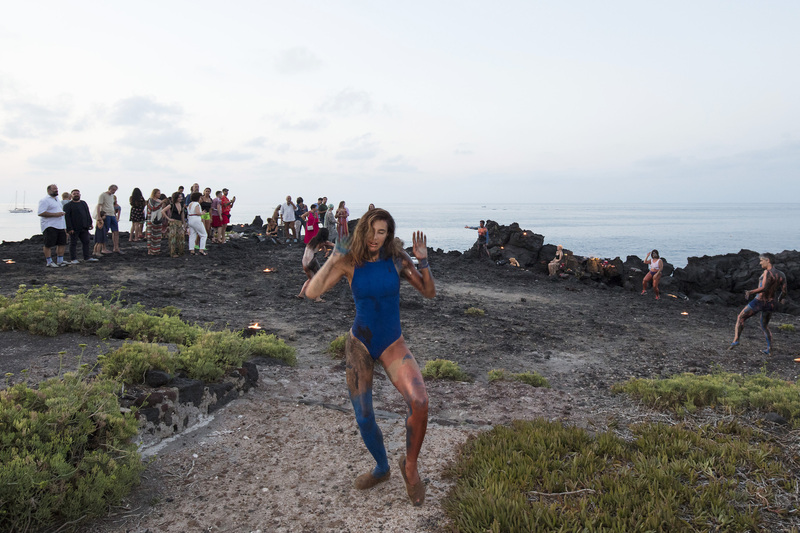 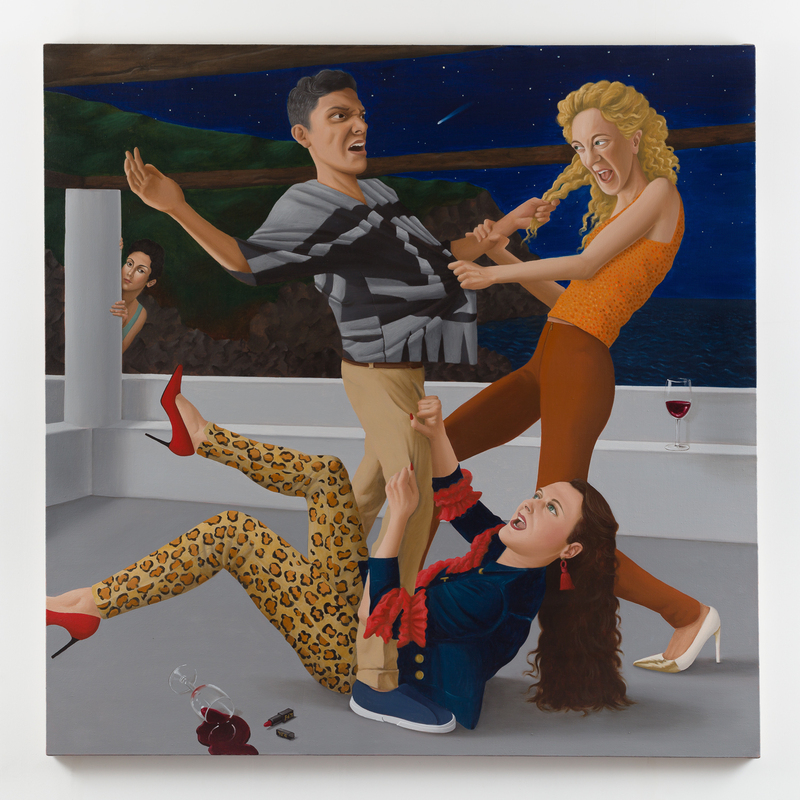 The nightfall was celebrated by a Propitiatory Dance, a Dancehall choreography by Cecilia Bengolea, taking place on the cliffs of Punta Restuccia, beyond the terrace of La Lunatica. 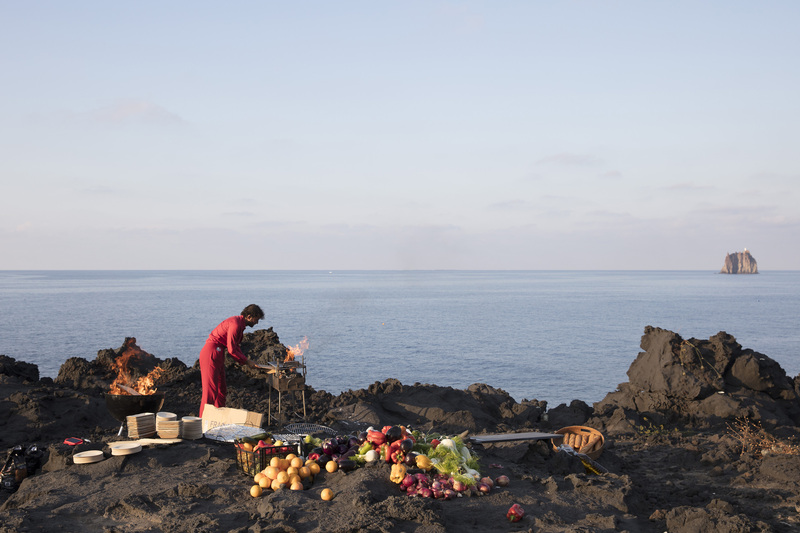 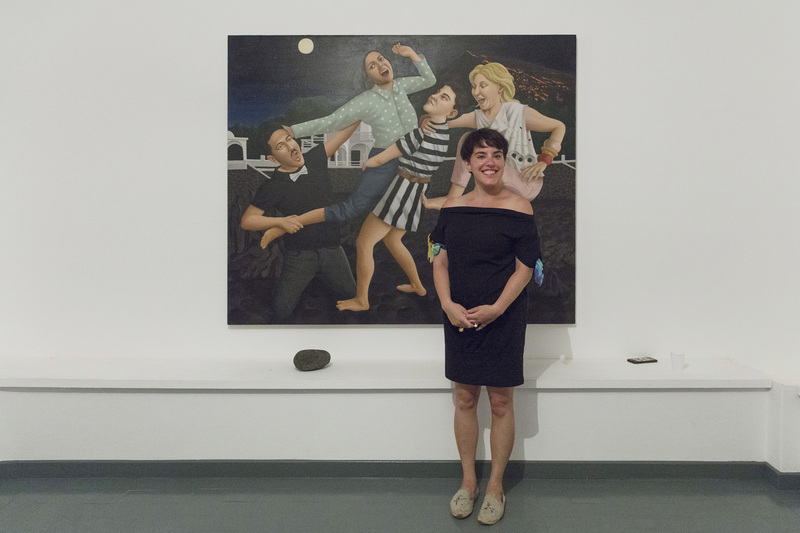 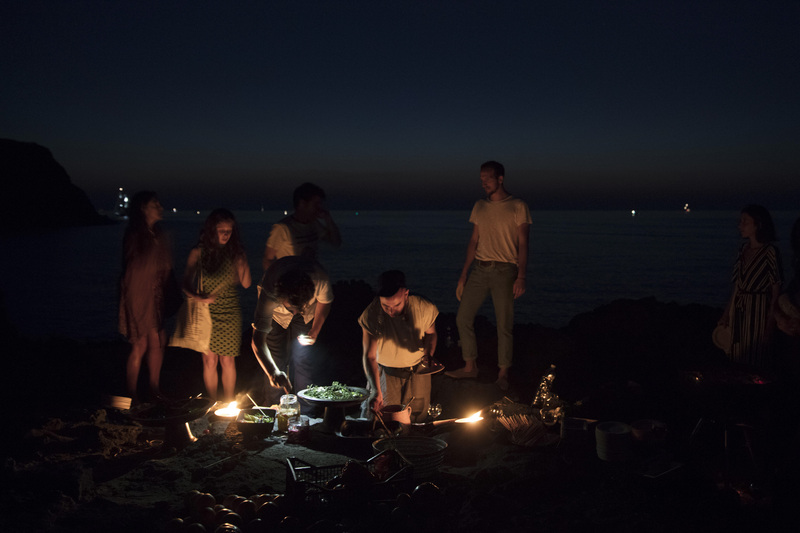 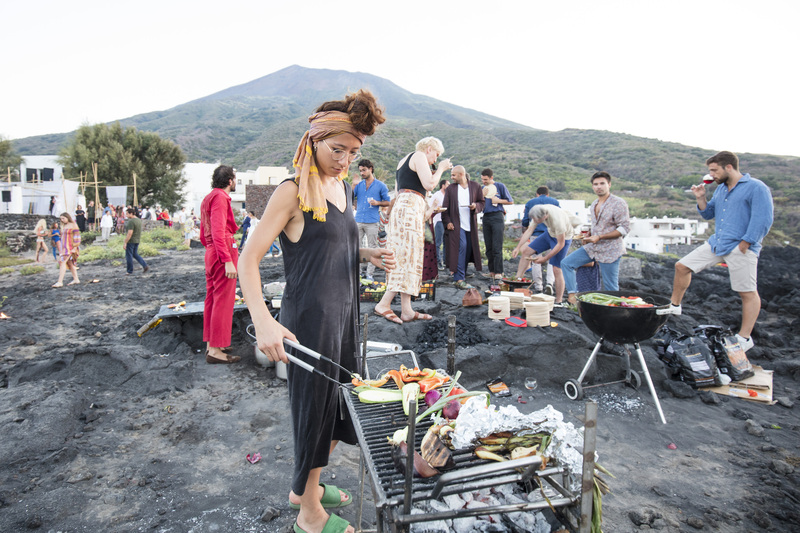 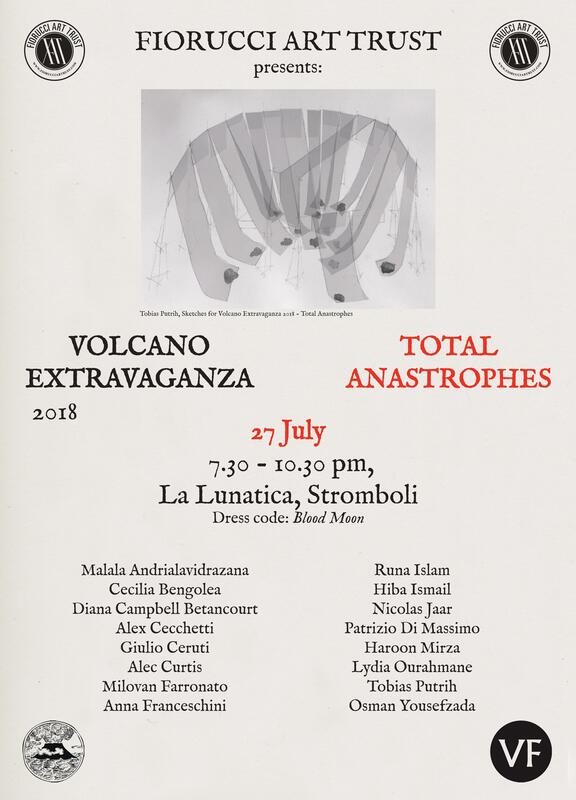 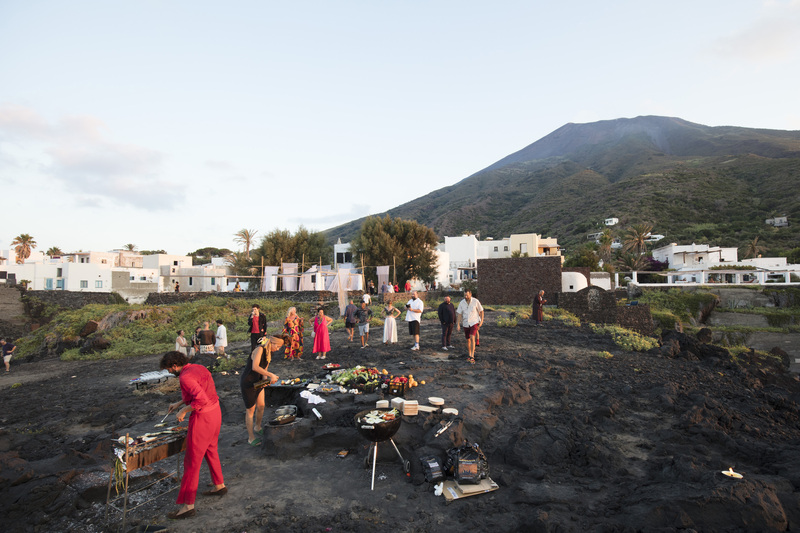 On the occasion of this first official evening, Lydia Ourahmane and Hiba Ismail, with the precious help of Gulio Ceruti, orchestrated the Blood Moon Offering, a delicious banquet based on the flora of Stromboli. 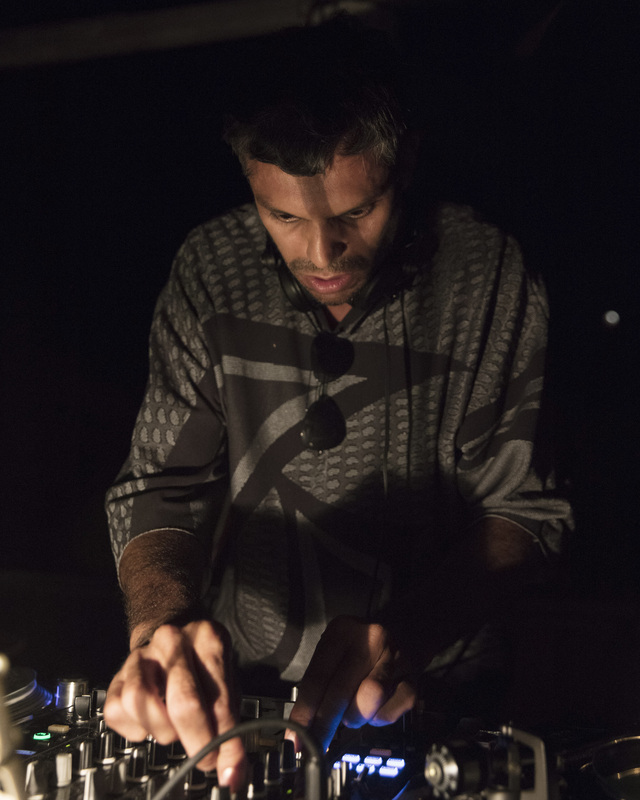 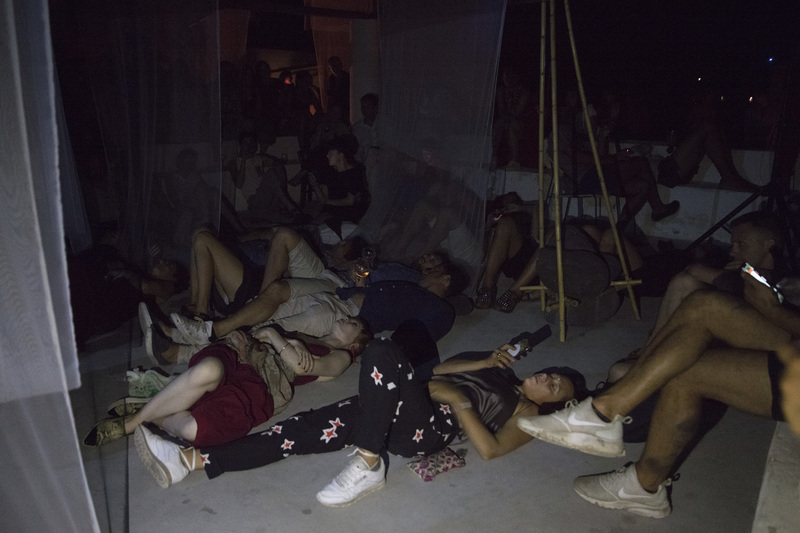 As we were waiting for the Blood Moon to fully rise, we were accompanied by a series of interventions, sounds and projections with contributions by Diana Campbell Betancourt, Alex Cecchetti, Alec Curtis, Milovan Farronato, Anna Franceschini, Runa Islam and Haroon Mirza. 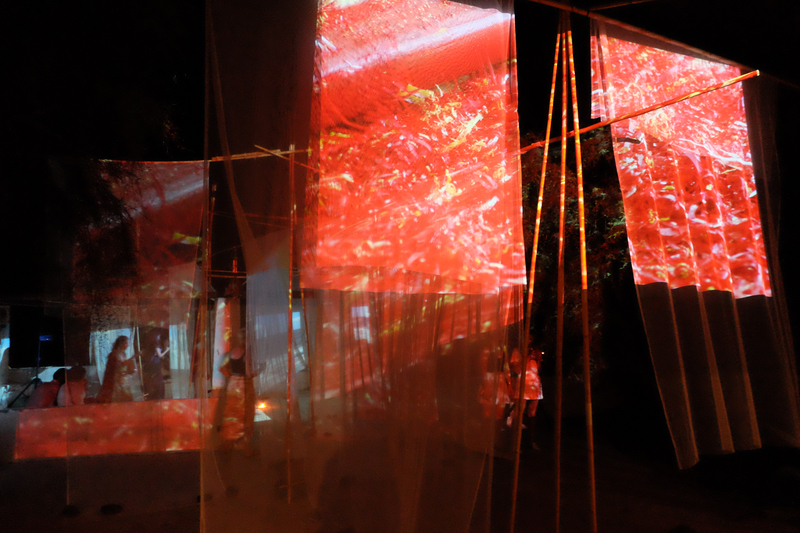 Distorted sounds and images kept guiding us through our anastrophes, trying to avoid the impending catastrophe. 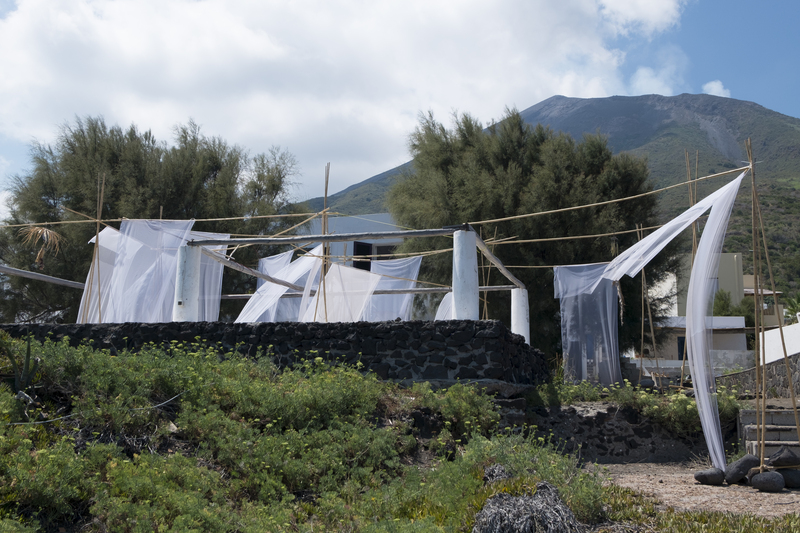 Drama, drama, drama… and then a collective sleep under the guidance of Strombolian whales. 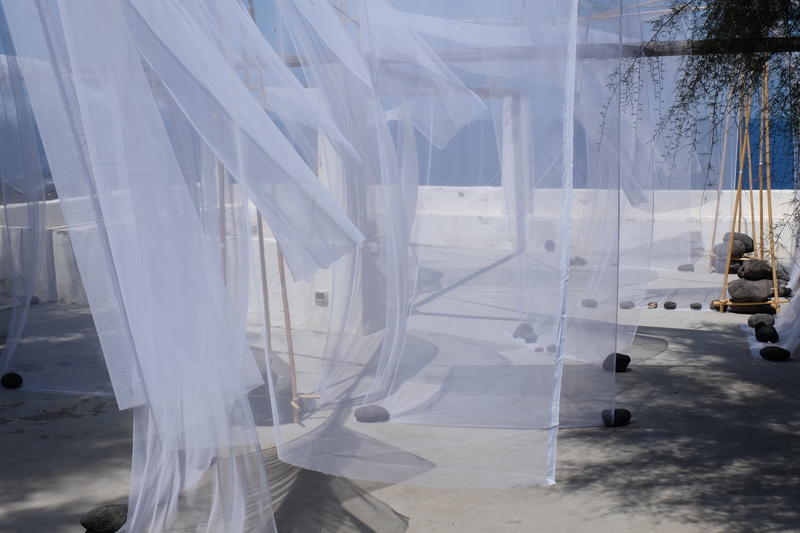 Not to be forgotten was the under-water audio piece born from the collaboration between Lydia Ourahmane and Nicolas Jaar. 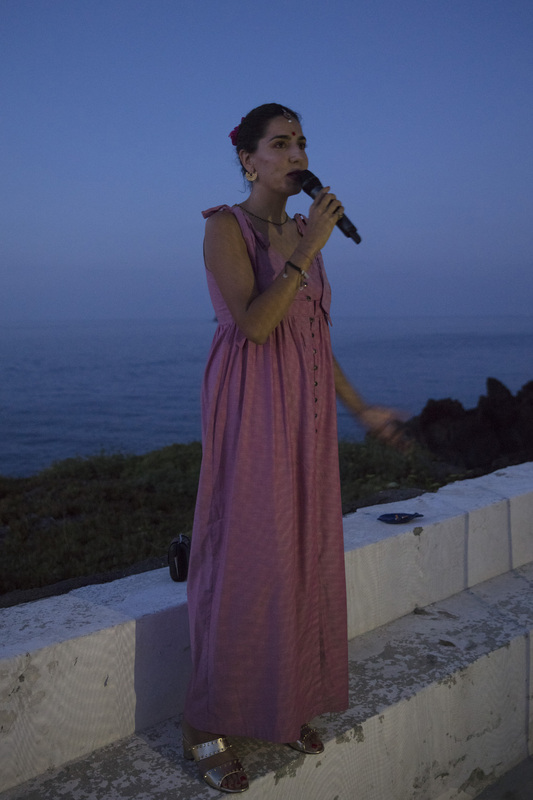 ‘Music for two seas’ was available for listening during the whole festival and was indicated by a white buoy visible from Scalo dei Balordi, the beach at the right-hand side of La Lunatica. 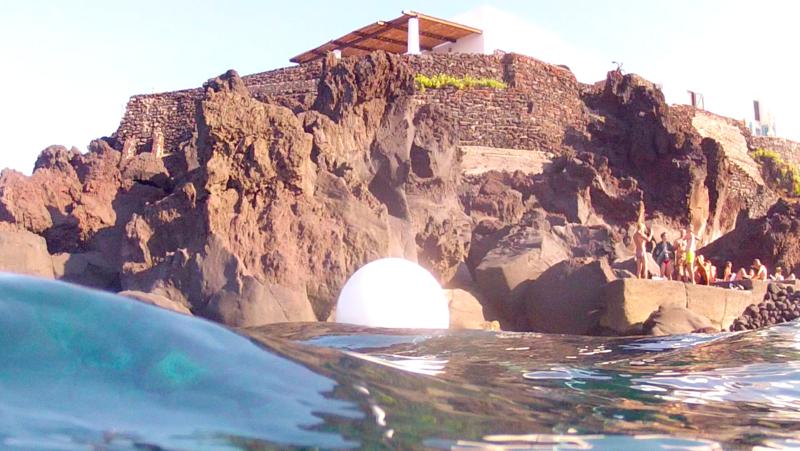 Vistors were invited not to be afraid to reach the buoy and dive to listen for as long as they could hold their breath! 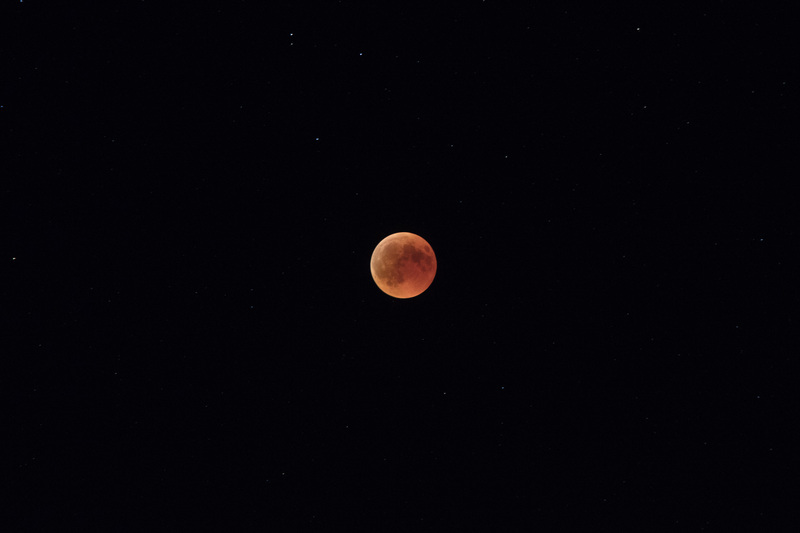 In the meanwhile, the night sky was sending us blessings and reminding us that the Blood Moon was the real hostess of the night.